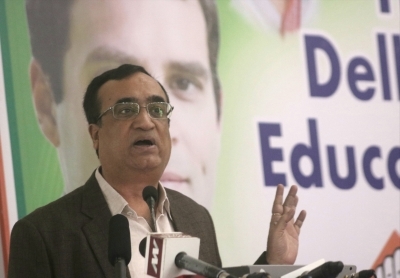 New Delhi Sep 14 (IANS) Questioning the Delhi University over its alleged silence on the procurement of EVMs used in DUSU elections the Congress on Friday demanded that a revote be held with ballot papers. The party also questioned the poll panel over "privately sourced EVMs" used in the student body elections adding that its demand for the last two years on the use of Voter Verified Paper Audit Trails in DUSU elections had been ignored. "The Election Commission on Thursday clarified that they did not supply the Electronic Voting Machines used in Delhi University Students Union elections. After the EC clarification on the EVMs why didn t the varsity tell from where it got these EVMs " Delhi Congress chief Ajay Maken asked while speaking to the media here. He also claimed the EVMs were tampered with adding that it resulted in the defeat of Congress-affiliated NSUI on three of the four DUSU posts. 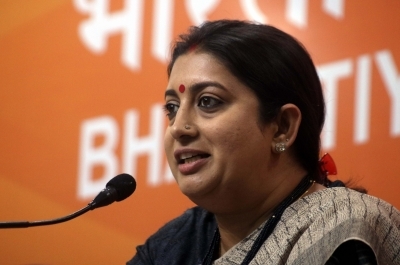 The RSS-affiliated Akhil Bharatiya Vidyarthi Parishad won three of the four seats while the National Students Union of India got one post in the elections the results of which were declared on Thursday. "Whenever there is EVM malfunctioning the BJP ends up winning elections " the Congress leader quipped. The Congress leader said that the varsity issued a circular on September 10 to all affiliated colleges principals on the use of EVMs on election day. "Hyderabad-based Electronic Corporation India Limited (ECIL) supplied EVMs to the Delhi University. It is the same company that provides EVMs to the Election Commission too " Maken said adding that without permission from the poll panel ECIL cannot supply EVMs to anyone. "When the EC s committee concerned did not approve the EVMs supply to the DU how did it happen? And if the EC did give the nod for the supply why has the information been hidden from us?" the Congress leader questioned. "The EVMs are being tampered. And if the EVMs have been tampered for the DU polls why cannot they be tampered in the general elections?"